AT&T announced Thursday evening that it has completed the acquisition of Time Warner. The announcement comes two days after a judge ruled that the deal does not violate antitrust laws. "The content and creative talent at Warner Bros., HBO and Turner are first-rate. Combine all that with AT&T's strengths in direct-to-consumer distribution, and we offer customers a differentiated, high-quality, mobile-first entertainment experience," Randall Stephenson, chairman and CEO of AT&T, said in a statement. "We're going to bring a fresh approach to how the media and entertainment industry works for consumers, content creators, distributors and advertisers." Time Warner head Jeff Bewkes is now officially the former chairman and CEO of the company; he will be a senior advisor during a transition period, AT&T said. Bewkes' direct reports will now report to John Stankey, who is the CEO of AT&T's media business. Earlier Thursday, the Justice Department said in a court filing that it would not ask for a stay to stop the merger, and the companies and the Justice Department together said that the deal could be closed immediately. 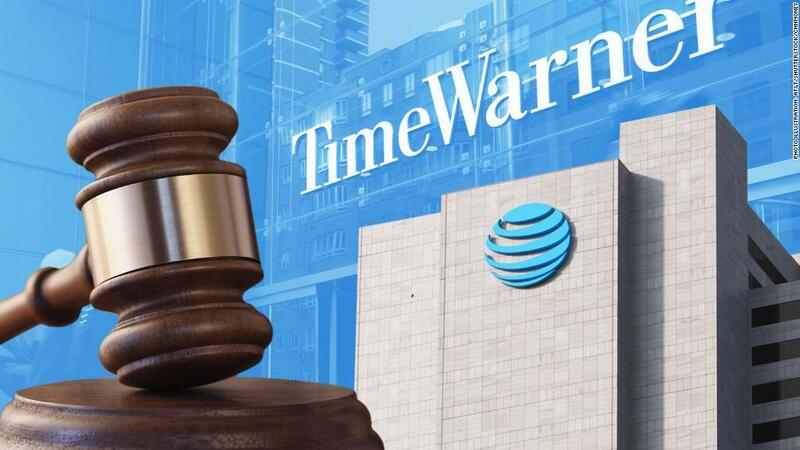 On Tuesday, Judge Richard Leon had approved AT&T's $85 billion acquisition of Time Warner, rejecting the government's antitrust objections. The Justice Department may still appeal the judge's ruling in the case. "This does not mean we have made a decision about an appeal," a Justice Department spokesperson said. "We are still evaluating options." AT&T and Time Warner had previously agreed not to close until six days after a ruling, to give the government time to consider asking for a stay. The deal will unite Time Warner's TV shows and movies with AT&T's enormous distribution system, including cell phone and satellite networks. Leon took apart the government's case in his opinion. In an unusual move, he warned the government against asking him for a stay. He said a stay would be "manifestly unjust" because it would effectively kill the acquisition. AT&T argued the deal was critical to its survival in an industry increasingly dominated by Netflix, Facebook and other newcomers. The Justice Department said a combination would harm competition and raise prices for consumers. Related: Which media companies are still up for grabs? Officials in the Justice Department's antitrust division were "disappointed but not surprised" because the judge seemed to cast doubt on their arguments during trial, a source with knowledge of the department's thinking said. Leon also told Justice Department lawyers in court that he did not believe the government was likely to win an appeal on the merits. In a letter to the Justice Department, AT&T and Time Warner's lead lawyer, Daniel Petrocelli, laid out AT&T's plans for managing the Turner networks, which include CNN, HLN, TNT and TBS. Turner will be managed as a "separate business unit," and AT&T will have no role in setting Turner's prices with distributors, the letter said. The number of Turner employees, pay levels and benefits "will remain largely unchanged," it said. If a federal appeals court agrees to hear the case, it will probably go to a three-judge panel. A successful Justice Department appeal could undo the merger. If the government loses its appeal, it could still take the matter to the Supreme Court. AT&T's acquisition of Time Warner is known as a vertical merger because the two companies do not directly compete with each other. The Supreme Court has not heard a vertical merger case since the 1970s, and antitrust lawyers are eager for the high court to clarify modern standards on antitrust economics and law.